Historical Placard: Janes Island Lighthouse – Chesapeake Chapter U.S.L.H.S. The Janes Island Lighthouse indoor placard was presented in August 2018. It is to be displayed in the Tawes Museum, Crisfield, MD. 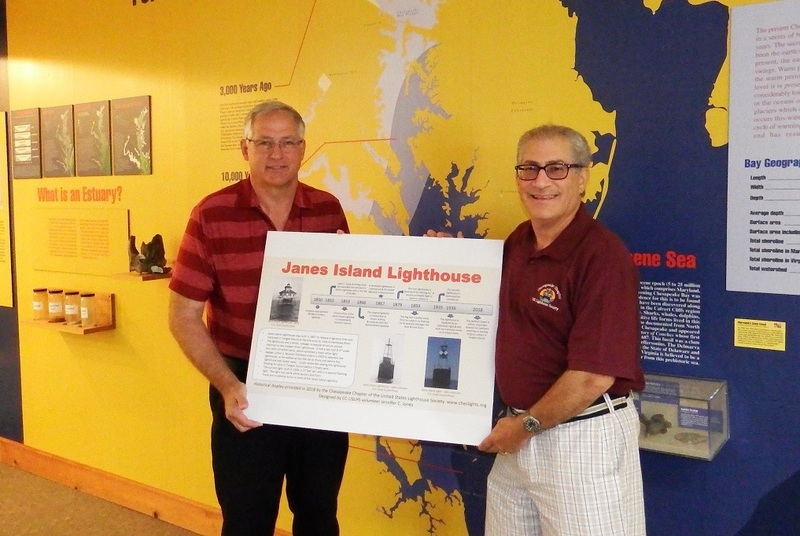 Greg Krawczyk presenting the Janes Island Lighthouse placard to Marty Schlegel, Vice Chairman of the Crisfield Heritage Foundation & J. Millard Tawes Museum. Photo was taken in the J. Millard Tawes Museum, in Crisfield, Maryland.